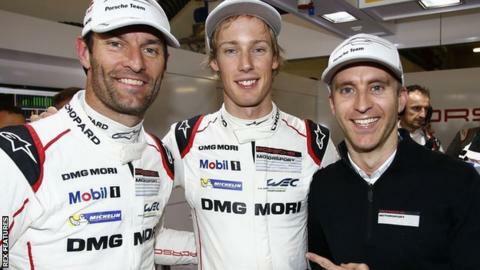 Mark Webber and Porsche team-mates Brendon Hartley and Timo Bernhard have won the World Endurance Championship after the 6 Hours of Bahrain race. It is a first world title for the Australian, who was third in the 2010 Formula 1 championship for Red Bull. Webber's car experienced technical problems but a fifth-place finish was enough to take the title. Audi's Andre Lotterer, Marcel Fassler and Benoit Treluyer came second when a win would have given them the crown. Webber, 39, is in his second season of endurance racing after retiring from F1 in 2013. His Porsche car number 17, shared with German Bernhard and New Zealander Hartley, had won the previous four races before the season-ending event in Sakhir. The sister Porsche car number 18 of Neel Jani, Marc Lieb and Romain Dumas won the race. How can Verstappen be so good at 18?